Wrap-Up -- The Cavaliers’ recent roadie placed them in two cities where they’ve seriously struggled over the years, regardless of record – Portland and Utah. 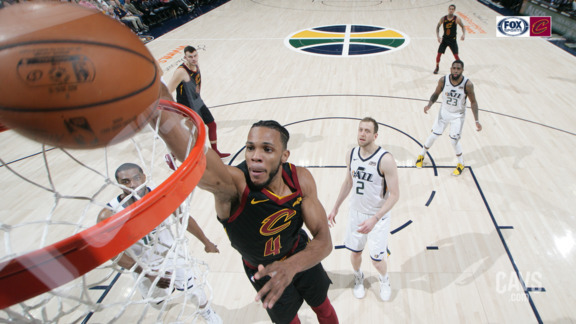 The red-hot Jazz – riding a five-game win streak – made short work of the shorthanded Cavaliers, opening up a big early lead and barely looking back, holding on for the 115-99 win on Friday night in Salt Lake City. Unfortunately, the final score was not indicative of the overall contest. The Jazz led by more than 30 points – and by as many as 38 – for much of the third quarter before Quin Snyder emptied his bench in the fourth. 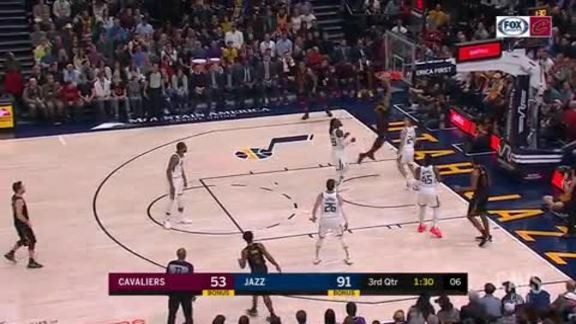 In that final period, Cleveland outscored the Jazz, 39-22, but it was a case of too little too late for the Cavs – who’ve now dropped 14 of their last 15. 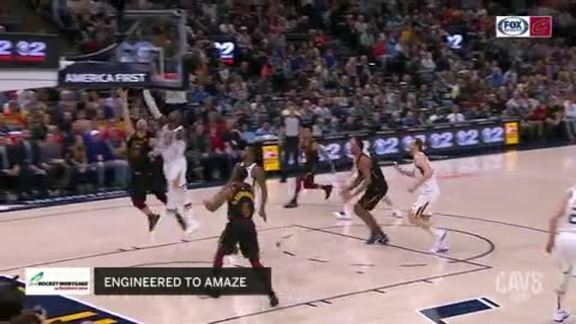 Playing without injured big men Tristan Thompson and Larry Nance, the Cavs struggled against the league’s reigning Defensive Player of the Year, Rudy Gobert – who finished with 19 points, 15 boards, two steals and a pair of blocks. He was one of three Jazz starters to finish with double-digit rebounds. 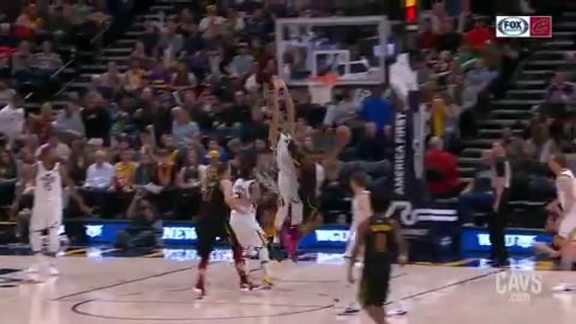 With Thompson and Nance on the shelf, Ante Zizic got the nod and doubled-up with 15 points and 10 boards, going 7-of-12 from the floor, adding a steal and blocked shot. 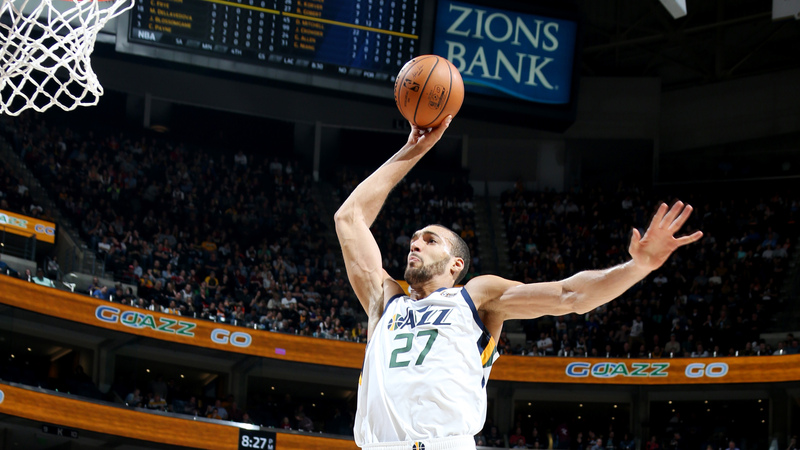 The sophomore center did most of his work late, however, netting 12 of his points and six boards in the fourth quarter with Gobert on the bench. Collin Sexton also finished with 15 points, but it wasn’t easy – going 4-of-12 from the floor, including 2-of-2 from long-range and 5-of-5 from the stripe, adding four boards and a pair of assists. Sexton also had his hands full with Utah’s star guard, Donovan Mitchell, who’s been playing the point while Utah awaits the return of the injured Ricky Rubio and Dante Exum. Mitchell, who led both teams with 24 points on 9-of-15 shooting, was also one of five Jazz players to net at least four assists. No Cavalier had more than three helpers as Utah outdid the Cavs in that category, 33-16. The Cavaliers’ bench – which came into the contest averaging 53.5 points per through the first four games of the trip – was solid again on Friday night. Four reserves tallied double-figures and the collective tallied 55 points in the loss. Cameron Payne registered double-figures in his fourth game as a Cavalier – leading the second unit with 14 points on 5-for-9 shooting, adding four boards, three assists and a steal. Jordan Clarkson followed up with 13 points, but struggled shooting the ball – going 4-of-13 from the floor, including 3-of-6 from long-range. Jaron Blossomgame had another solid outing in limited minutes – finishing with 11 points on 4-of-4 shooting to go with five boards. Matthew Dellavedova closed out the Cavs in double-figure scoring, chipping in with 10 points and three assists. Utah took full advantage of its superior size on Friday night – topping Cleveland on the boards (48-37), in the paint (60-44) and on second-chance scoring (11-4). Sexton scores in double figures for the 39th time this season. 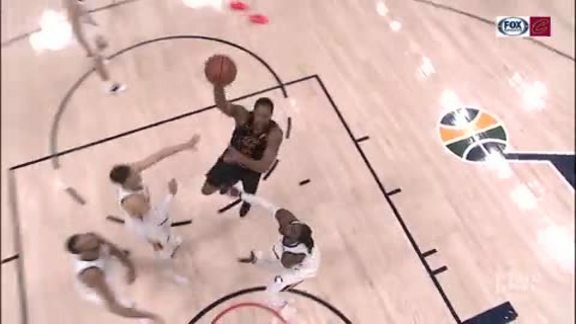 Turning Point -- The Wine & Gold were competitive for about a quarter-and-a-half on Friday night – not including the game’s final quarter, in which the game was already in hand for Utah. The Cavs trailed by 10 with just under eight minutes to play in the second quarter when the flood gates began to open. 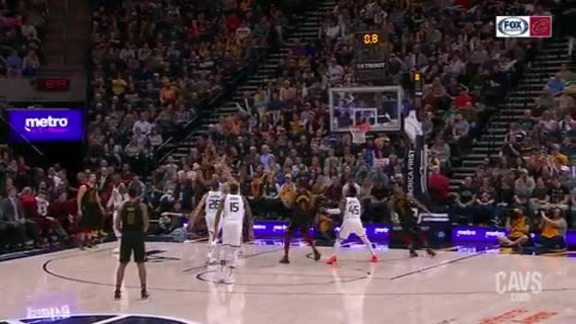 Donovan Mitchell got the Jazz going at that point with short floater to put the Jazz up a dozen and things got away from there – with Utah outscoring Cleveland, 23-9, over the next seven minutes, punctuated by Royce O’Neale’s triple with 1.8 to play in the half that sent his squad to the locker room with a 24-point edge. By the Numbers – 11.8, 6.8, .605 … Ante Zizic’s scoring and rebounding averages as well as his shooting percentage through the first five games of the trip – even with a scoreless outing on Sunday night in L.A.
Up Next -- After a week-and-a-half deep in Western Conference waters, the Wine & Gold finally wrap up their roadie on Saturday night – taking on the Northwest-leading Nuggets at the Pepsi Center. The Cavaliers come home for an MLK Day matinee against the Bulls before getting right back on the road – traveling to face the Celtics on Wednesday night. Cleveland closes out the month of January with a Friday night meeting with Miami at The Q, travel to Chicago for a Sunday afternoon meeting with the Bulls and end up the following Tuesday with a visit from Bradley Beal and the Wizards. 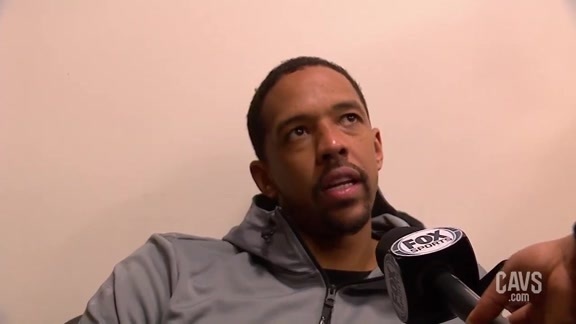 Cavaliers forward Channing Frye spoke with the media following Friday's loss to the Utah Jazz at Vivint Smart Home Arena. 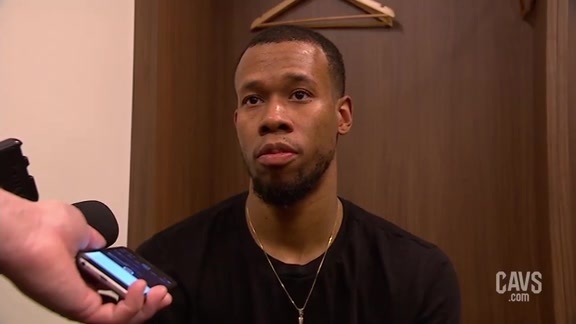 Cavaliers guard Rodney Hood spoke with the media following Friday's loss to the Utah Jazz at Vivint Smart Home Arena. 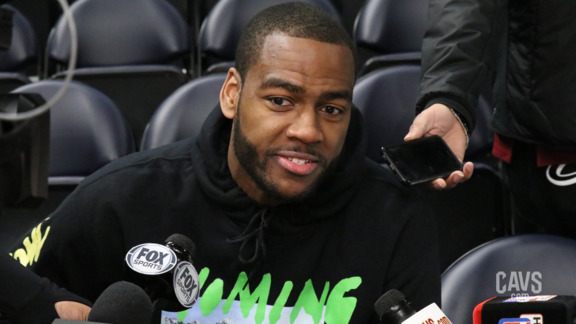 Cavaliers guard Alec Burks spoke with the media following Friday's loss to the Utah Jazz at Vivint Smart Home Arena. 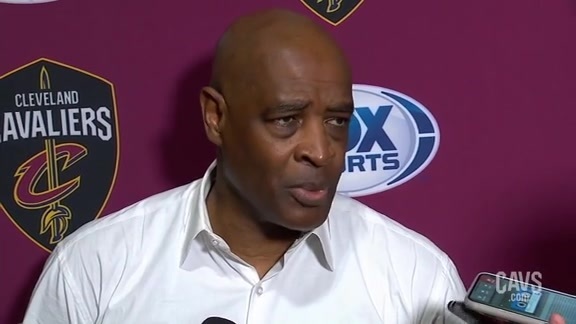 Cavaliers Head Coach Larry Drew spoke with the media following Friday's loss to the Utah Jazz at Vivint Smart Home Arena. Jaron Blossomgame shows off his hops and attacks the basket for this rim-rocking slam. Cameron Payne gets into the lane and cans the floater just before the end of the third quarter. Channing Frye finds a cutting Jaron Blossomgame who throws the hammer down. Channing Frye goes to work in the post and muscles home the shot, plus the foul. Alec Burks takes it strong into the paint and finishes the tough bucket, plus the foul, in this ‘More Driven Highlight’ driven by Goodyear. Channing Frye and Matthew Dellavedova work the two-man game as Frye finds Delly on the backcut for two. 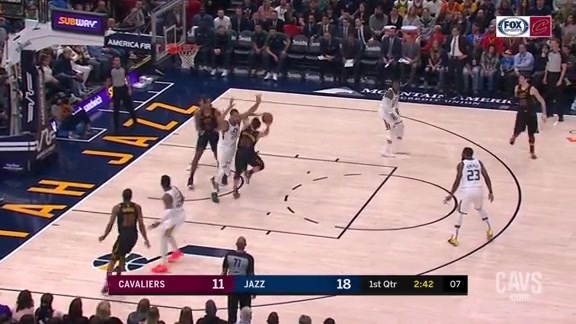 Matthew Dellavedova gets Rudy Gobert to leave his feet and throws in the bucket, plus the foul. 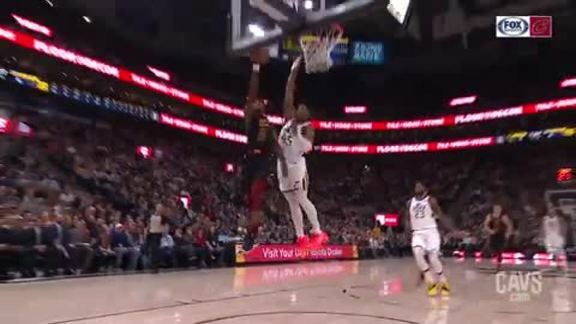 The Wine & Gold get the steal at one end and Collin Sexton streaks down the other end for the layup. 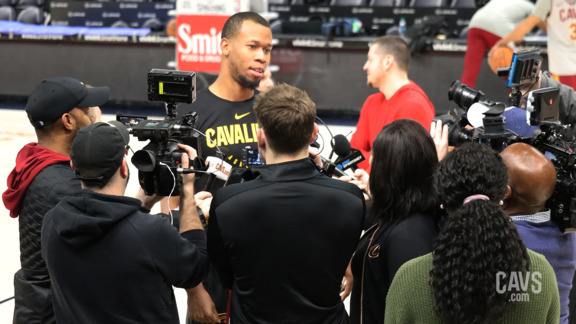 Rodney Hood discusses facing his former squad prior to Friday's shootaround at the Vivint Smart Home Arena as the Wine & Gold prep for the Utah Jazz. 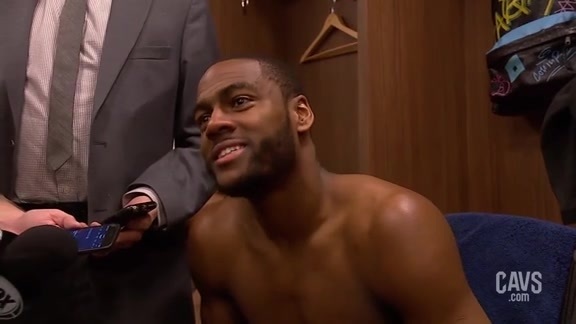 Cavaliers guard Alec Burks talks about his first game back in Utah prior to Friday's shootaround at the Vivint Smart Home Arena as the Wine & Gold prep for the Jazz. 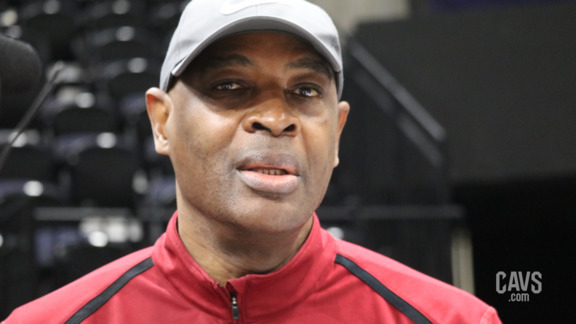 Cavaliers Head Coach Larry Drew spoke with the media prior to Friday's shootaround at the Vivint Smart Home Arena as the Wine & Gold prep for the Utah Jazz.